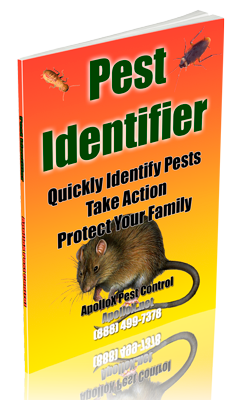 ApolloX Pest Control removes bumble bees from your home quickly, efficiently, and safely. Bumble bees are easily recognized, being large (3/4 inch long) with black and yellow or orange hair patterns on their abdomens. Queens and workers have pollen baskets on their hind legs. 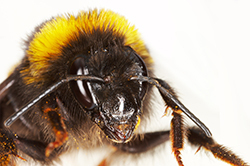 Bumble bees can be distinguished from carpenter bees because of the presence of orange or yellow hair patterns on the upper surface of the abdomen on the honey bee. 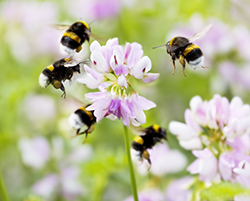 Most colonies contain a few hundred bees although thriving colonies can contain up to 2,000 bees. Nests may be up to 12 inches in diameter and may have several entrances. Foraging activities occur only during the daylight hours. Fertilized queens survive the winter, select an underground nesting site in the spring and construct a nest in which worker bees are raised. Queens lay eggs that hatch into larvae and develop through several stages before turning into a pupa. Male and female bees are produced later in the summer. In the fall, all members of the colony die except the fertilized queens. 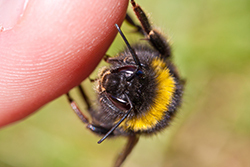 Bumble bees are an important and beneficial insect. They pollinate plants and flowers as they forage for food. Females are capable of stinging. They can be aggressive around nesting sites but they are rarely aggressive during foraging activities; occasionally a problem when their nest is located next to a building or walkway. 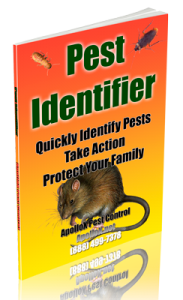 Call ApolloX Pest Control for bumble bee pest control in the Fairfield County CT towns of Fairfield, Black Rock, Bridgeport, Cos Cob, Darien, Easton, Greenfield Hill, Greenwich, New Canaan, Noroton, North Stamford, Norwalk, Old Greenwich, Redding (lower), Ridgefield (lower), Riverside, Rowayton, Shelton, Southport, Stamford, Stratford, Trumbull, Weston, Westport & Wilton.